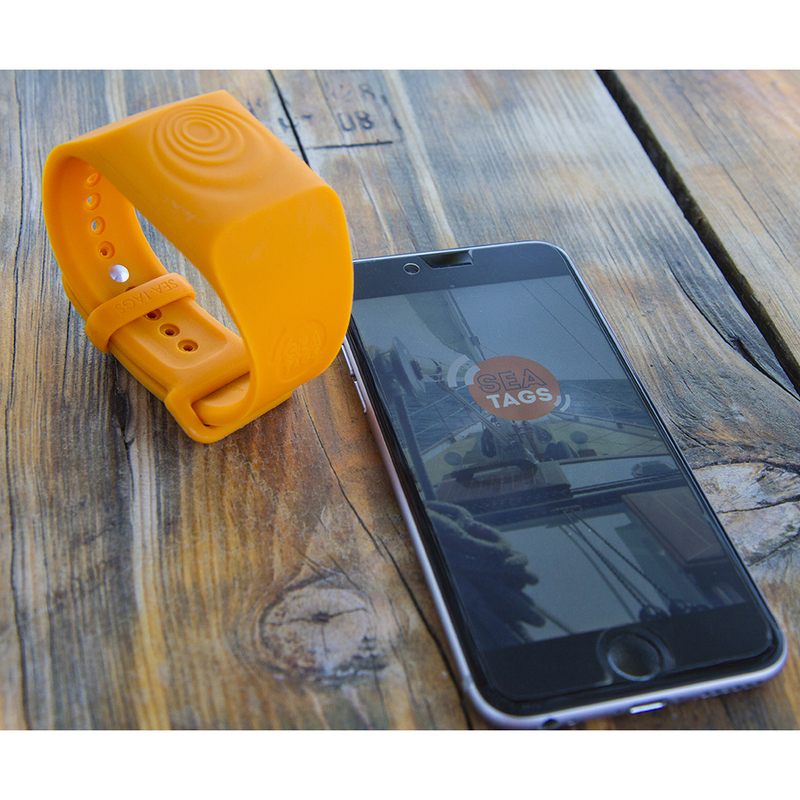 Sea-Tags wristbands work according to the "principle of positive security", that is to say that the beacons transmit continuously a signal that is picked up by one or more phones equipped with the application. 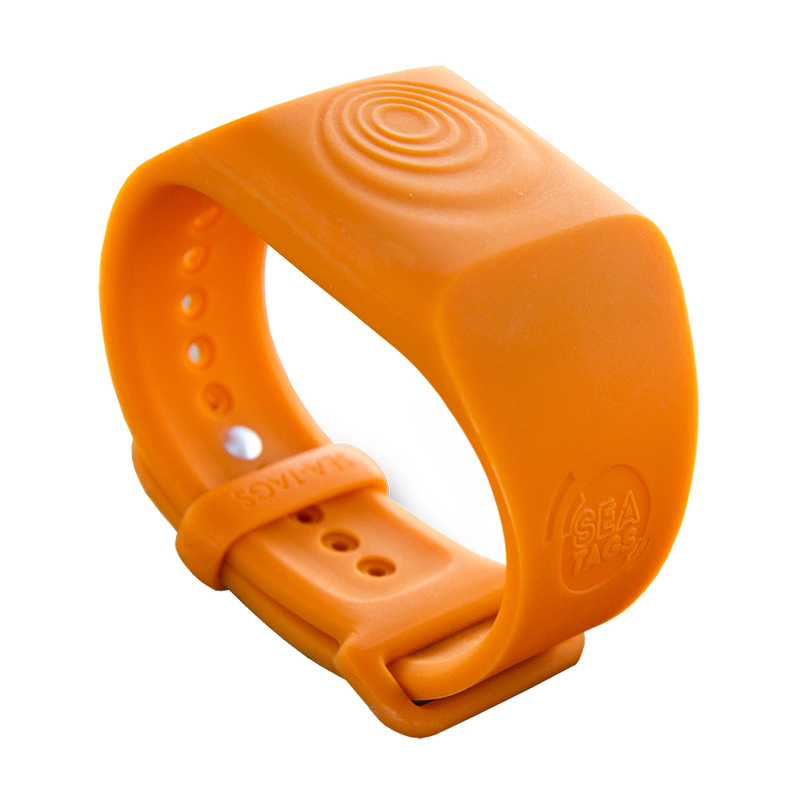 In case of immersion or removal of a bracelet, the signal is cut off and in response the phone or phones trigger an alarm and record the GPS position at the time of the incident. Once turned on and monitoring enabled, the beacons continuously emit a signal that is picked up by one or more smartphones equipped with the application. Your smartphone alerts you if a bracelet wearer falls to the sea...In case of immersion, the signal is cut off and the phone(s) automatically triggers an alarm and records the GPS position at the time of the incident. The Sea-Tags application displays on the map the position of the man overboard, the real-time position of the boat and it constantly updates the course and the distance to follow to retrieve the fallen teammate. In crew mode, you do not need a mobile network (GSM). You watch over your teammates and your teammates watch over you with a transmitter connected to the onboard phones via the free application. 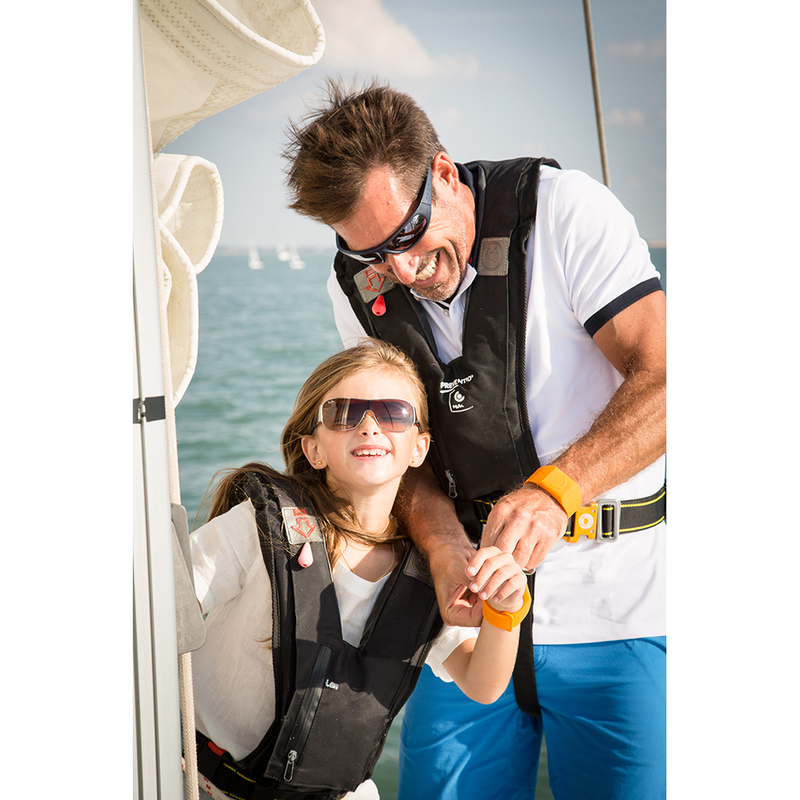 In the event of a fall at sea, the Sea-Tags application displays on a map the position of the man overboard at the time of the incident, the real-time position of the boat and continuously updates the course and distance to follow to recover the teammate. Solo mode is the only case where you have to stay in a mobile network coverage area (GSM) to use the Sea-Tags application. In the event of a fall at sea, the phone on board will send an SMS with the position of the man at sea at the time of the fall. The person on shore will be able to contact the rescue services and provide them with the latest GPS position of the person who fell overboard. Sea-Tags has been designed to be a "pleasure" product and can cover boats up to 15 meters taking into account the limitations of Bluetooth for not triggering inadvertent alert. The Sea-Tags product is not suitable for steel boats and carbon boats. The app continuously displays the position, heading and speed of the boat. In the event of a man overboard, with or without GSM network coverage, the application automatically displays the heading and distance to return to its last known position. Very easy to use: turn on your wristband, tap add a beacon, scan the QR code on the wristband and begin monitoring. If necessary, you can contact emergency services directly from the app. When you pair your beacon you will find additional information.